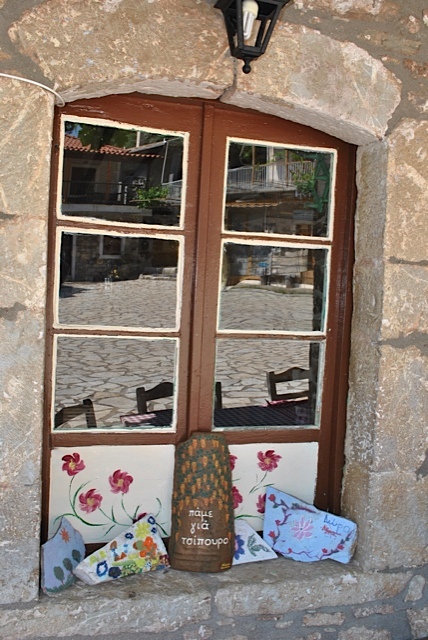 Imagine you are located in Stemnitsa, or Dimitsana in the heart of the Peloponnese, in Gortynia region. You stroll along the beautiful trails of the river Lucius and feel like nature becomes a part of your soul or otherwise, until you get hungry which means you have to take the road to Panagia village, close to Zatouna, 15 km from Dimitsana, and the same distance from Stemnitsa. Nena, the local owner of Mpelleiko Guesthouse has specially suggested this place. 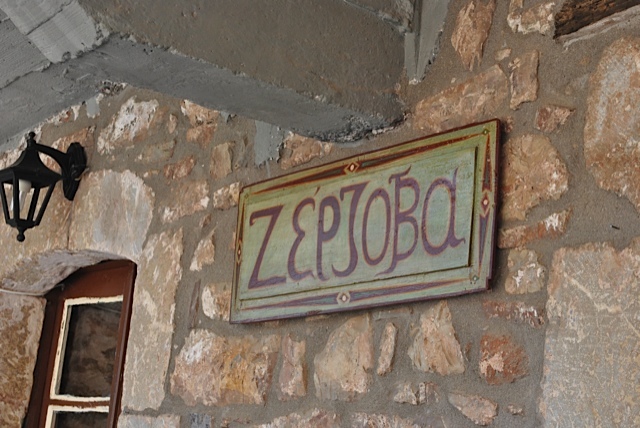 At the stone village square we found the only restaurant of the village named Zerzova, the first Slav name of the village. 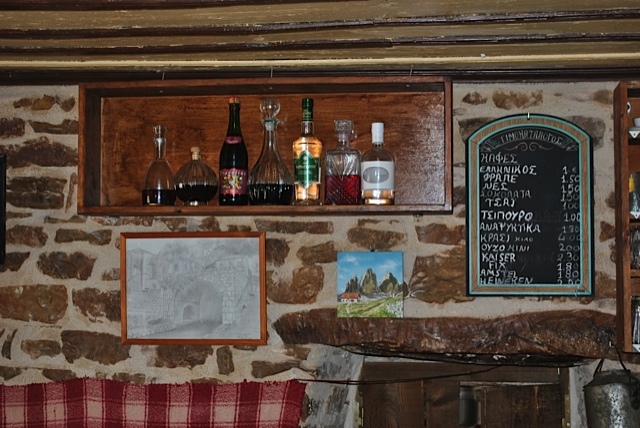 The owner Jiannis, holds it with passion, and infinite love, while his wife cooks and he cares for the animals, sheep, goats, calves, providing the tavern with cheese and meat. So, you have the unique chance to eat the most delicious Feta chees, taste the amazing wild boar cooked with brandy, try the homemade noodles blanched with butter and lots of cheese and finish with an omelette with artichokes or asparagus, beef, or rooster. For desert, Jiannis will offer you with handmade strawberry and banana ice cream handmade by his wife Evangelia, and you think that your taste buds are reborn and have gone to a culinary dream vision. 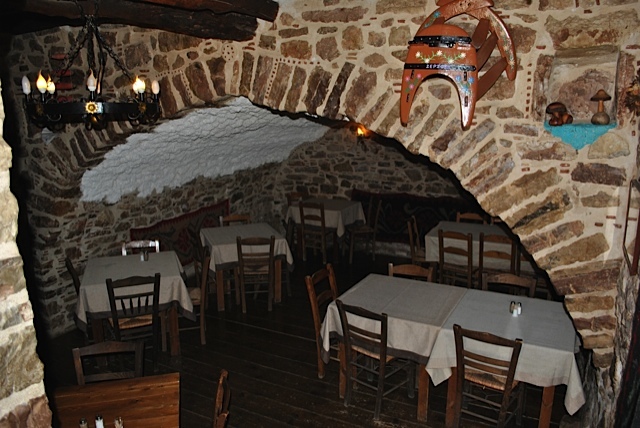 The restaurant inside is decorated with local products, traditional food and useful tools for the fireplace which keeps the tavern warm during the cold and perhaps snowy days of the winter. 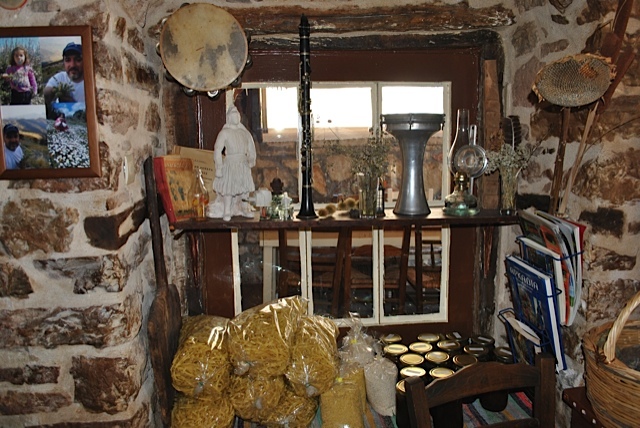 The Wine cellar provides the guest with wine who might have travelled from very far to reach Zerzovas tavern for food. Jiannis is very proud to live at this village. He was relaxed, enjoying the conversation with us, pointing us that he does not care to advertise the shop but the traditional and exceptional food of Gortynias region. I think he did us a favour to let us write about his tavern. Leaving the place we still had the flavours on our mouth and we really felt this unique and historic connection with the descendants of Kolokotronis (Greek Warrior of 1821), who've been planning about the liberation of Greece, at this reagion. 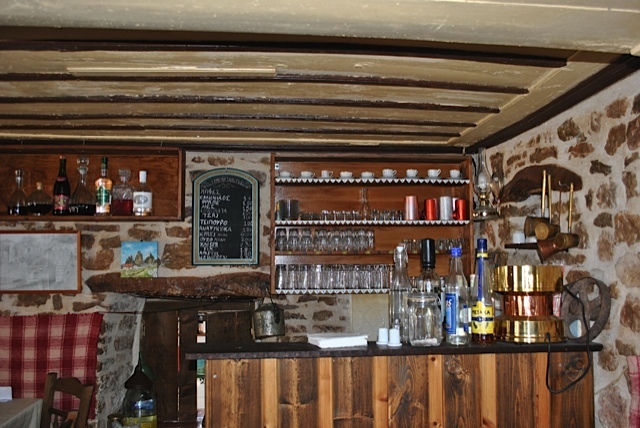 We longingly await for our next trip in tavern Zerzova of Gortynia. My Name is Eva Krokidi, born in Corfu but have been living in Patra. My job as a School Consultant demands my travelling in 16 different places which i like to visit also as a tourist. I love travelling and my top destination is ofcourse Corfu. Travelling around the world, participating in a Brazilian Carnival and a Crouise to Alaska are my ultimum goals. Until then i travel and photograph anything passing by.